New Delhi: Two-wheeler sales in India is expected to grow at 8-10 percent in 2018-19 amid concerns over increasing cost of acquisition disturbing positive demand drivers, according to ratings agency ICRA. Supported by growing per capita income, improved farm sentiment following near-normal monsoon over the last three financial years, higher minimum support price (MSP) and farm loan waiver in select states, the domestic two-wheeler industry volumes are expected to grow at 8-10 percent during FY2019, ICRA said in a statement. 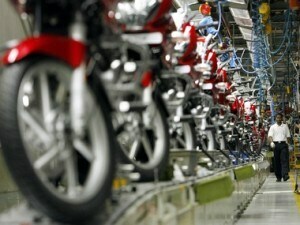 The rating agency further said it has a stable outlook on the Indian two-wheeler industry. The sector has reported 11.1 percent year-on-year volume growth in April-October 2019. This is despite some one-off adverse events during the period – increase in insurance premium across the country, floods in Kerala in August 2018 and regulatory changes in West Bengal mandating two-wheeler sale to only valid licence holders in July 2018, it said. Increase in rural income would support motorcycle demand; and on the other hand, scooters' demand is expected to be led by rapid urbanisation, increased affordability and greater penetration through targeted product launches, ICRA said. Although, some pre-buying in the second half the of FY2020 due to implementation of BS VI from 1 April, 2020, is likely, it said. For the medium term, ICRA said, "The two-wheeler industry is expected to report a volume CAGR of 7-8 percent with positive structural factors like favourable demographic profile, growing middle class, participation of women in workforce and rapid urbanisation." ICRA further said it expects increasing penetration of organised finance into tier 2-3 cities as well as rural centres to support domestic demand as the current share of financed vehicles remains moderate. The ratings agency said the credit profile of two-wheeler makers remains strong, supported by healthy capacity utilisation (77-80 percent), high profitability and strong balance sheet across most original equipment manufacturers (OEMs).